The spokesman for the US-led anti-ISIS coalition has said Turkish ground troops in Iraq are not acting as part of the alliance. Baghdad has called for an emergency UN Security Council meeting, saying Ankara is violating Iraqi sovereignty. The statement came on Thursday from Col. John Dorrian, who is a spokesman for the Combined Joint Task Force (CJTF), an anti-Islamic State coalition consisting of 65 countries. Dorrian announced during a briefing in Baghdad that Turkey is operating “on its own” in Iraq, AP quoted him as saying. The coalition position is that every unit “should be here with the coordination or and with the permission of the government of Iraq,” he is also quoted as saying. On Thursday, Baghdad called for an emergency meeting of the UN Security Council (UNSC) to discuss the issue. The body should “shoulder its responsibility and adopt a resolution to end to the Turkish troops' violation of Iraq's sovereignty,” spokesperson for the Iraqi Foreign Ministry, Ahmad Jamal said. In televised comments on Wednesday, Iraqi Prime Minister Haider al-Abadi slammed the move as “unacceptable” and warned that Turkey’s action might slide into a full-fledged war. "We have asked the Turkish side more than once not to intervene in Iraqi matters and I fear the Turkish adventure could turn into a regional war," according to Reuters. Ankara rebuffed the statement, with the country’s Prime Minister Binali Yildirim saying the troops won’t leave "no matter what Baghdad says." 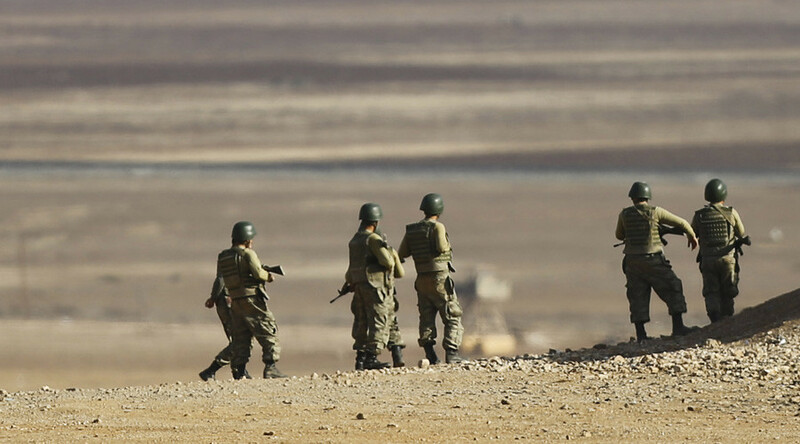 Turkey has been conducting air strikes against jihadists in Syria since 2014 in the framework of the CJTF and has been repeatedly called a crucial partner by the US. In an interview to the ABC network in July, US Secretary of State John Kerry reiterated this position. “Turkey is a friend. Turkey is an ally. Turkey is an important coalition partner in the fight against ISIL,” he said. 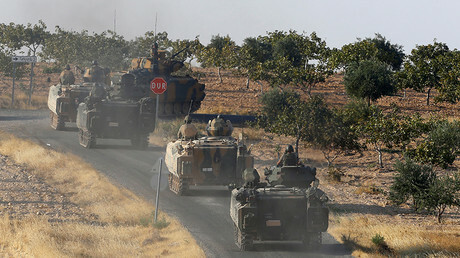 However, cracks appeared between the two partners in August after Ankara launched a ground operation in Syria near the town of Jarablus, close to the Turkey-Syria border. Turkey announced the mission was aimed at routing out IS militants as well as Kurdish YPG, which Ankara also considers a terrorist organization. However, attacks on YPG fighters - backed by Washington and considered one of the most capable troops against ISIS – did not sit well with Washington. "We want to make clear that we find these clashes - in areas where ISIL is not located - unacceptable and a source of deep concern," Brett McGurk, the special presidential envoy for the coalition to counter Islamic State, posted on his Twitter account in August. The statement was echoed by US Defense Secretary Ash Carter, who said that Turkey “should concentrate” on targeting Islamic State militants. Turkish Minister for European Union Affairs Omer Celik hit back, saying "no one has the right to tell us which terrorist organization we can fight against and which one to ignore." Ankara is worried that Kurdish forces are trying to extend their area of control along Turkey’s southern border. 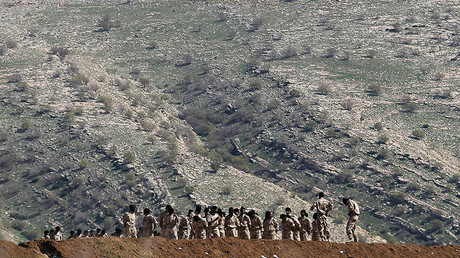 Turkey has been involved in a three-decade-long conflict with the Kurdistan Workers’ Party (PKK), which is based in the southeast of the country, linked to the YPG, Ankara claims.